Freight Services - County Line Trucking Ltd.
Companies continue to turn to County Line Trucking Ltd. because of their incomparable service and dedication to their employees and customers. Country Line Trucking transports a variety of cargo across North America including fresh produce, metal sheet, lumber, building materials, machinery, refrigerated food and general freight. With a team of over 100 employees, the experience of our staff and drivers provides a network of reliability and excellent service. County Line has a team of dedicated reefer specialists, paired with advanced, top of the line reefer containers to ensure that your product is moved with the most precise temperature control from point A to B. Thanks to our extensive service network, we offer the most competitive transit times, wherever your product is going. Use flatbed trailers to ship items that are too tall, wide or heavy for standard freight shipping. 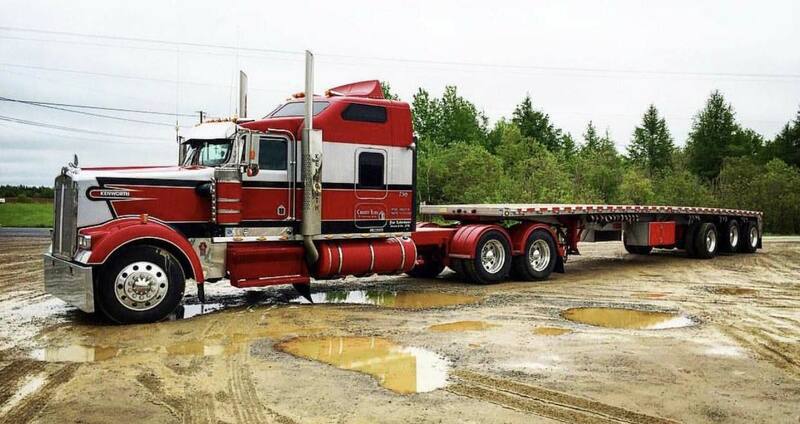 When you have a major project, our flatbed trucking services provide the equipment and operational flexibility to meet your specific transportation and logistics needed while maximizing each shipment. Use our vans for your next move, County Line has the right equipment for whatever your moving needs are. Our vans are specifically designed for your upcoming product shipment or move. Call or email us to find out more!